BMW's water-cooled R 1200 GS is a powerful and versatile bike capable of eating up highway miles and tackling trails in the same trip. But if you're counting on OEM crash bars to protect your engine then you should know that these can do more harm than good. It has been documented that the OEM bars' hard rubber pad can punch a hole in the cylinder header which is why AltRider has produced a Reinforcement Bar to brace against impact and strengthen the entire crash bars structure. The Altrider design directs force in an almost straight line to the frame of the motorcycle with no unnecessary bends or flimsy band clamps to bend under load. Starting with 1 inch (25.4 mm) diameter stainless steel tubing the Reinforcement Bar is laser cut CNC bent and hand TIG welded in the United States. The Reinforcement Bars mount at the engine with an included engine through bolt. Unlike other designs that use plastic inserts this heat-treated and CNC-machined through bolt provides critical strength and stability and AltRider is the only one on the market to utilize this design. The Reinforcement Bars mount to the OEM bars with full-wrap 2-part high-strength alloy industrial clamps attached to 3/16 inch (4.7 mm) thick mounting flanges. Installation and removal is a 15 minute job with the included stainless steel hardware. AltRider's Reinforcement Bars are available in a silver electro-polish finish to match the OEM crash bars or black powder coat to match the engine and frame of some GS's. 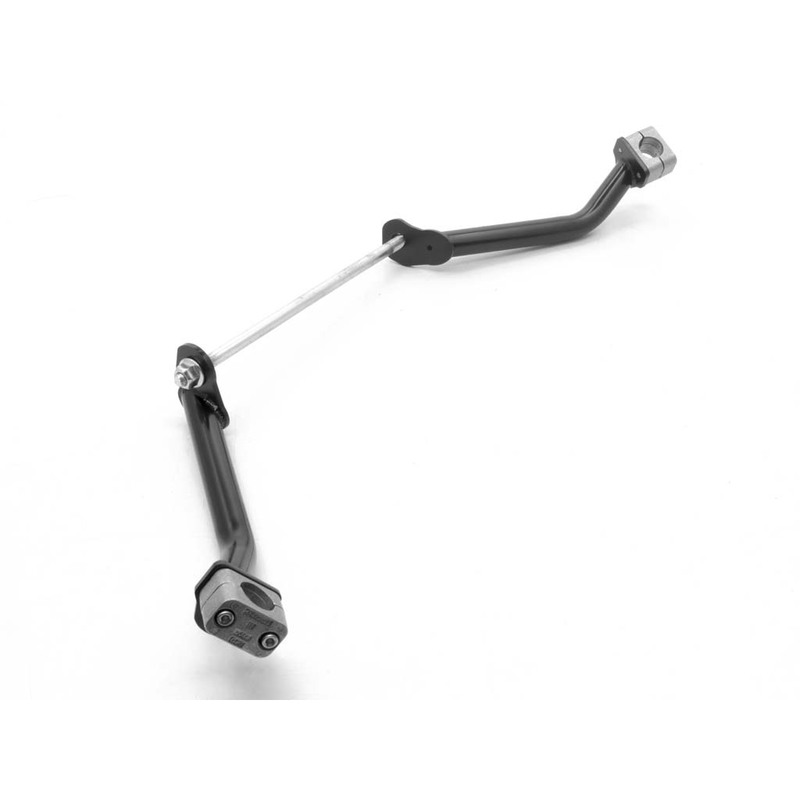 They are compatible with OEM accessory crash bars as well as stock BMW crash bars on the Adventure model.